LEON COUNTY, Fla. — Where you live influences how well and how long you live and what we learned from a recent study doesn't put Leon County in a good light. The 2019 County Health Rankings put Leon County at number six out of Florida's 67 counties in terms of "severe housing problems." So how are people coping? And what's being done to improve living conditions? We found out. Jeff Humphrey was homeless before he got a house at the Dwellings, a low-cost, low-barrier housing opportunity in Tallahassee. He says finding safe, affordable housing in Tallahassee is nearly impossible. He blames the high rent on the fact that it's a college town. "Not all of us can afford first months, last months rent. To the point where just to get into a place is thousands of dollars and its just not feasible for a lot of people," said Humphrey. So what's being done to help those who need a place to call home? County officials say they're working on it with the city in a number of ways. "The county and city both have established affordable housing advisory councils and they are working together to identify some options to assist people with needs whether it's an economic need or identifying safe places within the community for families," said Wanda Hunter-Donaldson, Assistant County Administrator. 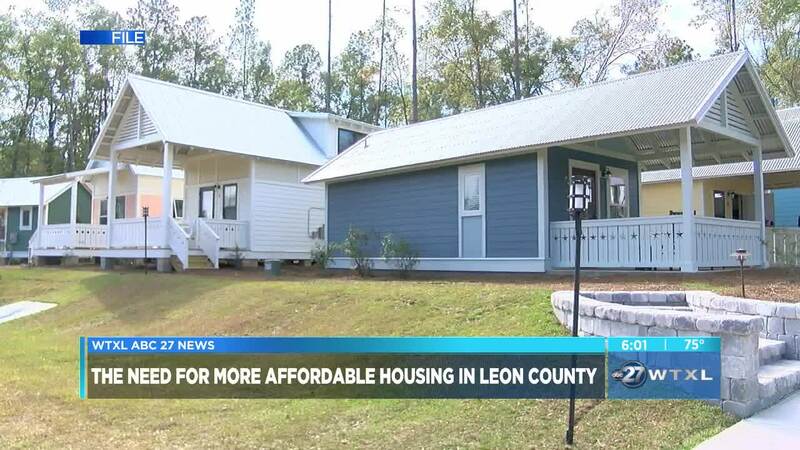 Community leaders in Leon County have joined together to establish the Housing Leadership Council of Tallahassee / Leon County to create more affordable housing. "The ways that we are going to do that is by putting people at the table who are going to be able to work together to create solutions, be it government groups and policy, partnering together to work on projects that make a difference," said Lisa Brown, Tallahassee/Leon Federal Credit Union President and CEO. The goal: safe, affordable housing for all, the reality: it's a work in progress but those who have found it say it's been a dream come true. "All I can say is that it's been a pleasure to live here," said Humphrey. "This is my retirement home I will not be going anywhere." If you need assistance finding affordable housing, contact the Housing Office which is located within the Human Services and Community Partnership Office at 850- 606-1900. They will determine if you qualify and help identify other resources in the community that might be able to help.